Jenny Lombard has been appointed Sales Director at Lake Foods. Her appointment took effect on 1 January 2016. Jenny joined the AECI Group in 2001 when Lake International acquired Darleon, a supplier of dairy cultures, enzymes and natural colours to the food industry. While at Darleon, she was Product Manager from 1997 to 2000 and was promoted to Key Account Manager in 2001. She served in this position until 2006. 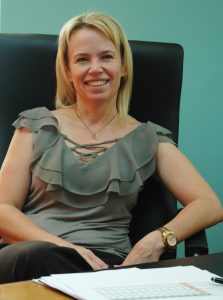 With the growth of the Food Solutions business Jenny took up a more focused role in managing key principals (2007 – 2009), before serving as Sales and Marketing Manager from 2010.